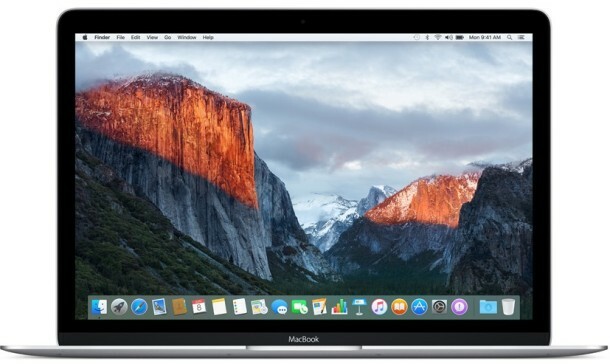 Apple has released a small supplemental update to OS X El Capitan Public Beta. The small update is available now from the Mac App Store Update mechanism and it fixes an issue that may cause some 32-bit applications to quit unexpectedly. If you’ve been experiencing some random app crashing since running the OS X El Capitan beta, this may resolve those problems, assuming the apps are 32-bit versions. Keep in mind that beta system software is expected to be buggy and crash prone, and even with such an update it won’t be widely stable until later releases of OS X 10.11. Installing the update, which is officially labeled as “OS X El Capitan Beta Supplemental Update”, requires a reboot of the Mac. After installing, the new build of OS X 10.11 Public Beta 1 will be 15A216g, which is the same as the 3rd Developer Beta build. The supplemental update is available for he freshly released OS X El Capitan Public Beta, it is not necessary for the OS X 10.11 Developer Beta, which apparently does not include the 32-bit crashing issue. Even though the update is small, it’s still a good idea to back up the Mac before installing the update. El captain is not stable at all yet. It’s almost as if it’s beta software…. What kind of moron are you? It’s BETA software you fool!! I’ve found it to be quite stable, but it is beta software. I installed the supplemental update on top of PB1 and I’m still on Build 15A215h. Did the update work or did it just not change the build #, contrary to what the article suggests? It hás a new bug. The rules in Mail, if they are configured to move certain messages to a specified folder, each time the app start looses the directory witch is configured. I have the same issue exactly. The old rules kept crashing the mail app until I deactivated them and made new ones but now have the same issue Jose has. The same problem for me, Mail rules that move to folders are resetting everytime you restart Mail app. Its very annoying because I have thounsands of emails dropping in my main inbox that I dont want. Same issue here with Mail’s rules. Close mail and open it rules are gone. Was hoping the last beta would address it but it’s still there. I have filed 2 bug reports, one for the first Beta and one for this one. none of my native apps (mail and safari in specific) are opening after installing the beta and the update. Any suggestions? I’m having exacly the same problem and it is sad that even on this new Beta update the problem still there. I’m having problems on the Security Panel (Settings) as well. It doesn’t even open. After I push the update botton, it won’t reboot… It just shows my wallpaper with the app icons but no folders or bar on the top……. what to do? me too. have you find solutions? After installing the supplemental update, I can not use my external display via thunderbolt. If I am to plug it in, my macbook pro freezes. I was able to at first but now? I have also had problems with my internet connection working, It shows I am connected but nothing will load. Also I have had a problem today with my USB slots not working. I have to restart to fix any of these problems, except the external display it is still a reoccurring issue. You should try to reset the SMC and see if that helps, but El Capitan is pretty buggy right now still. Apple considers the Flash player plugin a security risk and will only allow the newest versions to be run, if there is an active hole in Flash Plugin, Apple prevents it from running entirely since Adobe is slower than molasses to correct a security problem with Flash. It is recommended to not install Flash in OS X at all, keep it self-contained within the Google Chrome web browser only. Did you try Office 2016? That should work just fine in El Capitan. But this is a beta, after all. I was able to install the latest FLASH in El Capitan and it seems to be working. After getting the DMG in Yosemite, I was able to install it in. I also learned that while YES, Apple is blocking anything but the latest FLASH, it’s the Adobe Installer that has changed. I don’t remember having to select Mac from a Mac. It used to know I was on a Mac, so you must click those 2 things on the left or you’ll never be able to download it, but it should be possible. The warning message that your Security settings from Apple or your anti-virus settings are preventing it is FALSE. I’d never seen that before. It’s almost as if Adobe did on purpose to blame Apple, but it’s NOT Apple’s fault because I was able to download and install it. El Capitan is a beta version of system software, many developers do not have apps ready for it yet. It’s a beta. It’s a beta. Beta. Beta. Furthermore, Macs basically never get viruses, unless you’re torrenting sketchy stuff or downloading weird files from weird websites, you almost certainly don’t need an antivirus on a Mac. Perhaps some anti-malware or anti-trojan apps, but there are virtually no OS X viruses. I have the worst luck with technology…lol. I’ve already had 3 trojans on my MacBook…and no, I don’t do or watch anything sketchy…lol. So do you know of anything that will work with this Beta software? I can’t even do a scan with the AVG on my laptop. Mac keeper seems to scan fine for viruses using this Beta. I installed the beta version and at first everything was Wonderful on my mac. Was running 10.6 snow leopard. never updated to the lion, mnt lion, maverick or Yosemite. Now I went in under security and set my firewall to not allow incoming to post to this mac, then reset it back to default. MAIL will not propagate. I have to go in through a back door from my ISP to access my email , All mY previous E mail messages, contacts etc are Not accessible. I did back up my system on a seperate 1T hard drive and like an idiot I left it plugged in to my Mac when I installed the El Capitian. Now El capitan has Overridden my Time machine files. I take it I am screwed? Any Help? Apple Support can not help, and My ISP can’t either when it comes to retrieving my Mail! Mail icon tries to open but nothing! yes everything is there for the E mail Access, POP, etc. Any Ideas?